A beautiful selection of hardwood flooring, carpeting, and LVT will bring comfort and elegance to any design space. If it’s time to design your dream bathroom or upgrade the kitchen, we’re here to help. Our showers don’t leak. By working closely with local suppliers and installers, we can bring you quartz and granite countertops that last a lifetime. With more than seven decades of experience, our design and installation team work in perfect harmony to bring your project to life. 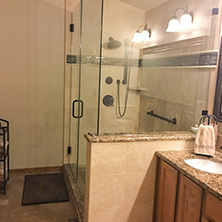 Located in Greeley, we’re Northern Colorado’s choice for home design and remodeling. 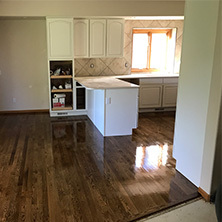 For more than 20 years, it’s been our pleasure to deliver a wide variety of high-quality hardwood flooring components, carpeting, tiles, window coverings, and gorgeous granite and quartz countertops. That’s why we’re where style meets expertise. Our design team has more than 75 years of combined experience, and we’re passionate about helping people find budget-friendly solutions for their home design needs. Thinking about installing wood or carpet flooring in your home? We carry a wonderful selection of top carpet and hardwood flooring brands at our showroom in Greeley. 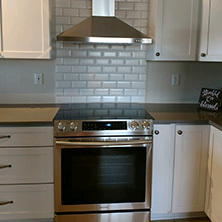 Want to redesign your master bathroom or kitchen with beautiful tile or countertops? We can help there, too. 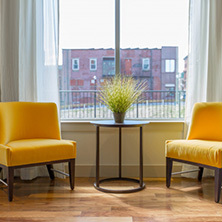 We also specialize in a variety of window coverings, including shutters and blinds. Be sure to check out our gallery online to see pictures of recent design projects, and contact our design team to get started on your next project. Click the button below to get started. We just need some information about your project. Visit our expansive Greeley showroom, and you’ll be greeted with a massive selection of components and accessories. If you’re less DIY, our design and installation teams will team up to bring in your project on budget and looking perfect. If you’re looking for specific items or you’re ready to get a free estimate, contact us today!